Software testing steps play an important role in software development cycle. The Software testing is conducted at every level of software development with specific objective at each level. The software testing at each level can be done by different IT team members. The developers test programs and interfaces between programs. The software testers do system testing. The end users perform the user acceptance testing (UAT). The software testers gather the requirements from the Business analyst and other members of IT team to prepare the test documents for testing. The test plans are prepared at each test levels by test lead. The software testers review the project documents to understand requirements and identify errors. The test documents like traceability matrices, test data, test cases are prepared by the software testers. The test environment is setup and verified for software testing. The test cases are tested and results are documented. The software defects are reported to developers. The software testers track the defects and ensure defect fixing process. The software testing level is ended by evaluating the exit criteria and documenting the testing experiences. The software testing steps can be performed either as manual testing or using automation testing tools. The detailed study of the software testing steps are explained in further articles. What type of testing is done by QA team? Explain the difference between manual testing and automation testing. Automation testing makes the software testing much faster than manual testing. Automation testing is more reliable than manual testing. The different technology based software can be tested using automation testing.Where In the manual testing, human testers perform the testing steps with input data and observe the results.they use the excel sheet for testing. – Test Requirement Gathering: QA gathers the requirements from BA to review and develop a test document to test the software. – Test Closure: Software testing level ends when exit criteria is met. The details and experiences of the software testing gets documented for further reviews. Test requirement gathering – Gathers document from BA review it and prepare documents for IT team. Test plan and analysis – Software testers review the project documents to understand requirements and identify errors. Test Design – test documents like traceability matrices, test data, test cases are prepared by the software testers. Test Implementation and Execution – test environment is setup and verified for software testing, are tested and results are documented. Defect reporting and tracking – software testers track the defects and ensure defect fixing process. Test closure – software testing level is ended by evaluating the exit criteria and documenting the testing experiences. QA teams develop test cases. In a nutshell, a test case describes the preconditions, desired outcomes, and post conditions of a specific test scenario,. They perform both manual and automation testing. Manual testing doesn’t need coding or programming skills . It is done manually by human without the use of tools or scripts .this way of testing is time consuming. Automation testing is when skills like use of test tools are required and it used when the use for testing is repeatedly done. This testing increases efficiency and works effectively. This type of testing is used by big companies for bigger projects because it is expensive to use automation testing. 1.What type of testing is done by QA team? QA teams develop test cases. 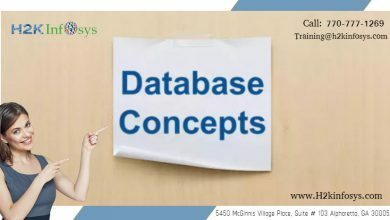 a test case describes the preconditions, desired outcomes, and post conditions of a specific test scenario,. They perform both manual and automation testing. 2. Explain the difference between manual testing and automation testing. – QA team usually do a combination of automation and manual testing. 2.Explain the difference between manual testing and automation testing. errors so it is less reliable. Investment is required for human resources. performed by software tools or scripts. Investment is required for testing tools. In automated testing the test cases are executed using tools and scripts like UFT (Unified Functional Testing), IBM Rational Functional Tester, Selenium etc. Human intervention is minimal and it is more reliable and efficient for repeated testing. Manual testing is done manually so time consuming and is is not as reliable as Automated testing ..Automated testing is more expensive and efficient. 1-What type of testing is done by QA team? 2-Explain the difference between manual testing and automation testing. 1-In manual testing , test cases are executed manually by a human, that is without any support from tools or scripts. In automated testing, test cases are executed with the assistance of tools, scripts, and software. 2-Manual testing is slower than automation. Running tests manually can be very time consuming. Automation runs test cases significantly faster than human resources. 3-Manual testing requires less cost than automation. automation testing cost is more than manual testing but useful always. 4-Manual testing is slower than automation. Running tests manually can be very time consuming. Automation runs test cases faster than human resources. Manual Testing: Here testing is done manually by human without the use of tools or scripts, this way of testing is time consuming and has high chances of errors hence need of Automation test arised. QA team does both automated testing and manual testing. Manual testing is perform by human manually and automation testing is done by using some tools. The different technology based software can be tested using automation testing. Where In the manual testing human testers perform the testing steps with input data and check the errors. Q2-Explain the difference between manual testing and automation testing. In manual testing , test cases are executed manually by a human, that is without any support from tools or scripts. In automated testing, test cases are executed with the assistance of tools, scripts, and software. Manual testing is slower than automation. Running tests manually can be very time consuming. Manual testing requires less cost than automation. 2. In manual testing, test cases are prepared and executed manually by the software testers. Usually for small and simple applications, manual testing can be done since number of test cases will be less and also inexpensive. Automation testing as the name suggests takes the help of various tools to perform the testing. It is faster and more exhaustive than manual and more costly too. 1. What type of testing is done by QA team? 2. Explain the difference between manual testing and automation testing. 1. Manual testing is time-consuming due to running test cases as everything is done manually. 2. Testers can observe the application during testing, making the user-friendliness better. 3. Less expensive in the short-term. 7. Regression testing is time-consuming and laborious. 8. The same amount of time is required to execute the test cases. 1. Automated testing is much faster than manual testing due to using the software. 3. It could be costly initially, but in the long-term, it will reduce the cost. 7. Regression testing is easy due to using tools. 8. Once the test suites are made, it requires the fewer tester to execute test cases. 1. Ans. : System testing is done by QA team. • In manual testing (as the name suggests), test cases are executed manually (by a human, that is) without any support from tools or scripts BUT with automated testing, test cases are executed with the assistance of tools, scripts, and software. • Manual testing is not accurate at all times due to human error, hence it is less reliable BUT Automated testing is more reliable, as it performed by tools or scripts. • Manual testing is time-consuming taking up human resources BUT Automated testing is executed by software tools, so it is significantly faster than a manual approach. 1. What type of testing is done by QA team? In manual testing ,software testers use step by step process to check defects or bugs in the developed software, where as in automation testing software testing tools are used for testing. Software testers play important role in manual testing.Human interaction and manual efforts are needed at highest level in manual tesing for successful testing in contrast to automation testing where manual efforts are minimal. Automation testing is more reliable in comparison to manual testing.Reusable test scripts and programs in automation testing makes it faster and effortless in comparison to manual testing.Overall automation testing has larger scope and can be reapeated more number of times compared to manual testing. Q1. What type of testing is done by QA team? Ans. System testing (manual or automation) is done by QA team. Q2. Explain the difference between manual testing and automation testing. Ans. in manual testing, all the test cases are executed manually by the software testers, it’s usually for small and low budget projects. Its time consuming, less accurate due to a great chance of human error and its unreliable. In automation testing software testing tools are used so its expansive but fast, accurate and reliable. 2.In manual testing, test cases are executed manually (by a human, that is) without any support from tools or scripts. But with automated testing, test cases are executed with the assistance of tools, scripts, and software. The QA team performs the system testing. Automation testing is a type of software testing which the test case are executed with the assistance of software. 1 Manual testing, automation testing, system testng are done by the QA team. QA does both automation and manual testing. software testing is done by QA . Qa gather the requirements from BA and other team members in the IT project team to prepare test documents for testing. Manual testing is done by human and its very time consuming. Automation testing is done by software and time saving , efficient and quick. System testing, manual testing or automation testing are done by QA testers. Manual testing is done manually where software testers gather all the test requirements, reviews the documents for errors and prepares all the test project reports/plans/design and execute the testing plan. Automation testing is done by software testers using Automation Testing Tools like Selenium, UFT, Rational Functional Tester,etc. This testing is used some programming languages to execute test scripts by QA. Automated testing tool is selected based on the budget, technology under development, test enviornment, vendor etc. *Manual Testing is as the name implies is done manually without use of any automation tools. *In manual testing documents such as RTM, Test Cases, Test data are manually created and executed. *There is a chance of human error or delay in test results. Manual testing is generally used for testing software functionalities. *Automation on the other hand uses various automation tools like Loadrunner, SOAPUI,Unified functional testing ( UFI) etc to test the software on performance, web services etc. *QA using automation tools need to use some programming languages to execute test scripts. *Automated testing tool is selected based on the budget, technology under development, test enviornment, vendor etc. 1. System testing or black box testing and UAT is done by QA. A) In manual testing, test cases are executed manually or without the help of any tool while in automation testing, the test case is executed with the help of automation tool like Selenium, Cucumber etc. B) Manual Testing is time-consuming while Automation Testing is quicker than manual testing. C)Manual testing is done with human error but Automation Testing is done with no scope of human error. 1.System testing (black box testing) and user acceptance testing. 2.Manual Testing is a type of Software Testing where Testers manually execute test cases without using any automation tools. Automation testing does not require human intervention.Automation Testing means using an automation tool to execute your test case suite. 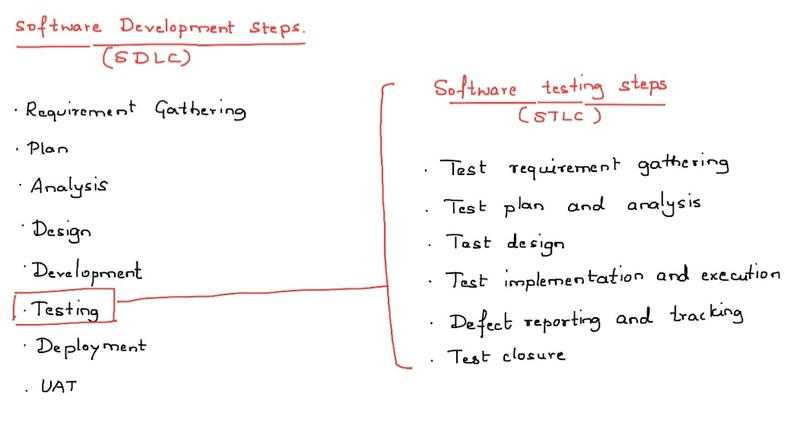 This article describes the various steps of Software Testing Life Cycle – Test requirment gathering, Test paln, Test design, Test implementation and execution, Defect reporting and tracking and Test closure. 1. QA team does the system testing. 2. Manual testing is mainly done manually, which means all the test cases are executed individually by the tester, manually entering data and testing the case without the help of any external tools. Automation testing also does testing the test cases but with the help of tools. System testing is done by QA. 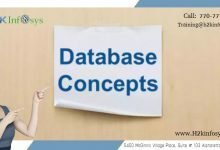 In manual testing is done by entering valid, invalid or blank data without using any tools. Automation testing is done by using testing tools. 1.system testing 2.manual testing is done by human efforts so there are chances for errors but automation testing is done by software/tools where there no chance of errors. 1.QA team does combination of Manual testing and Automation testing. Automation Testing:Automation testing is done by testers using Automation Testing Tools like Selenium, UFT, Rational Functional Tester etc . 1. System testing, Manual or automation testing is done by QA. 1.QA team does system testing which is a black box test design technique. In manual testing, test cases are executed manually by a human tester without using any tools. Manual testing is not accurate because of the possibility of human errors. Manual testing is time consuming and takes up human resources. Automated testing is a reliable method, as it is performed by tools and scripts. System testing is done by QA team. The QA Team performs System Testing that are executed manually (Manual testing) and with tools (Automation testing). Manual testing is done by Testers using hands. It demands more time to be completed and offers low accuracy result and less expensive. Whereas Automation testing is faster, done by Software and Tools to write Test Cases and Execute them. Automated testing is much reliable, helps increase effectiveness and efficiency of software testing. In manual testing test cases are executed manually (by a human, that is) without any support from tools or scripts. But with automated testing, test cases are executed with the assistance of tools, scripts, and software. -No tools are required for manual testing where testing is automated using automation tools in automation testing. -Unstable applications needs be tested manually whereas unstable applications can not be automated to avoid undesirable result. -Manual testing is expensive method whereas automation testing cost effective method. 1. The software tester(QA) do system testing. The software testing steps dobe by either manual testing or automation testing. Manual testing is accurate at all times due to human error, hence it is less reliale. Automatin testing is more reliable, as it is performed by tools and scripts. In manual testing test cases are executed manually by human without any suuport from tools or scripts. but with automation testing test cases are executed with the assistance of tools, scripts and software. Manual testing is time-consuming, taking human resources. Automated testing is executed by software tools, so it is significantly faster than a manual approach. The software testers do system testing. System testing is done by QA’s. Automatic Testing:It is done by software.As test are executed by tools,it is faster without errors and more reliable. In Manual testing, test cases are executed manually by human and without any support from tools or scripts. In Automated testing, test cases are executed with the assistance of tools, scripts, and software. – In Manual Testing Software tester do the testing and finding the bugs. 100 percent manual interaction is compulsory.Here the software tester follows the manual steps to test the application. – System testing (manual or automation) is done by QA team. In manual testing, test cases are executed manually or without the help of any tool while in automation testing, the test case is executed with the help of automation tool like Selenium, Cucumber etc. Manual Testing is time-consuming while Automation Testing is quicker than manual testing. Manual testing is done with human error but Automation Testing is done with no scope of human error. manual testing: testing the application manually with out using any tools is called manual testing. it consumes time. automation testing: testing the application with writing scripts and using automation tools is called automation testing. will be done quickly. QA Team performs the System testing. Manual Testing is where test is carried out manually without using any tools. This may be cumbersome and also error prone. It may also not cover the necessary load requirements in certain situations. Automation testing: is carried out using testing tools. The best examples would be for load testing, soak testing. Although the tools are precise, some situations call for manual testing. Neither Manual nor Automation testing is self-sufficient. Each has its role. System testing is done the QA team. QA team does the system testing. Testers manually execute test cases to find defects and bugs in software. Tester plays end user role to manually test the functionality and confirm that it works as per the requirement. Tests like exploratory testing, ad-hoc testing can only be done manually. Testing is done by using test scripts in automation tools. The tools make the testing more efficient & effective and provide elaborate, reliable, consistent results. It is useful for tests that need to be frequently repeated. It’s faster than manual testing and less time consuming. manual testing the test cases are executed by human without the help of any tools. automation testing the test cases are executed by using the tools. It is fast, and reliable. The QA team does the manual testing and automation testing. Manual testing : Manual testing ,all the test cases are executed manually by the software tester . Its low budget and time consuming . Less accurate and unreliable. Automation testing: automation testing is done by the tester using automation testing tools or scripts . Programming is required. Its costly but in long term reduces the cost and more reliable. 2.Manual Testing – The tester follows manual steps rather than automated to test the complete behavior and characteristics of the software for the defects. Here the tester understands the issue and fixes from human perspective. Automation Testing – The manual effort is reduced in the automated testing. The test cases or scripts can be reused, maintained and are reliable. 1. System testing is done by QA. 2. manual testing is testing of a software done manually without any tool support. While in automation testing, testing is done with the assistance of tools. 1. System testing is done by QAs. 2. Manual testing is performed by testers w/o using any automated tools. 2) Manual testing – No type of tools are involved in the process of testing. 3) Automation testing – Automation tools are used in this type of testing. 1)	The QA team does system testing. 2)	Below are certain differences between manual and automation testing. –	In manual testing, test cases are executed manually by humans without any support from tools or scripts. In Automated testing, test cases are executed with the assistance of tools, scripts, and software. –	Manual testing is prone to human errors making it less reliable. Automation testing is more reliable as tools and pre-defined scripts are used. –	Manual testing can be more time consuming and expensive whereas automation testing is very fast. –	Manual testing is more suited for ad-hoc testing, exploratory testing. Automation testing is best for regression testing and testing that requires frequent test case execution. 1 QA team does System testing. 2) Manual testing vs Automation testing. -> In manual testing test cases are executed by human tester. In automation testing tools are used to execute the test cases. -> Manual testing is time-consuming process whereas automation testing is faster than manual approach. -> Manual testing is not accurate because of possibility of human errors. Automation testing is reliable method where it is performed by tools ad scripts. -> Manual testing is not cost-effective for high volume regression , whereas automation is not cost-effective for low volume regression. * Automation testing: Test cases are implemented with the help of different software, tools, and scripts. o	In manual testing documents such as RTM, Test Cases, Test data are manually created and executed. There is a chance of human error or delay in test results. Manual testing is generally used for testing software functionalities. o	Automation on the other hand uses various automation tools to test the software on performance, web services etc. Tests cases are executed using tools and scripts. Automated testing tool is selected based on the budget, technology under development, test environment, vendor etc. Software Testers do the System Testing. What is the Difference Between Manual Testing and Automation Testing? In Manual Testing,Testicases are Executed Manually,without any support from tools or scripts,whereas in automation testing, test cases are executed with the assistance of tools, scripts, and software. Testing is an integral part of any successful software project.